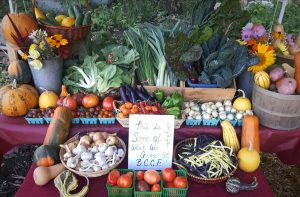 WHAT IS A HARVEST SHARE? 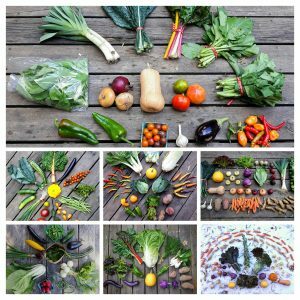 Black Creek Community Farm’s Harvest Share Program is a vegetable subscription program. 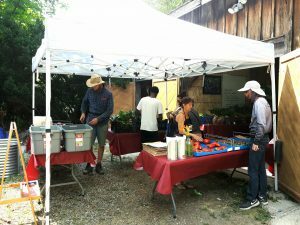 It is also known as a Community Supported Agriculture (CSA) program. 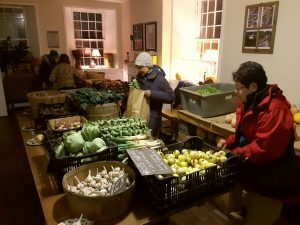 Members pay in advance for a full season of farm-grown produce, and they come to the farm each (or every other) week to pick up their “share” of the harvest. *Every week’s produce selection is valued at $27. 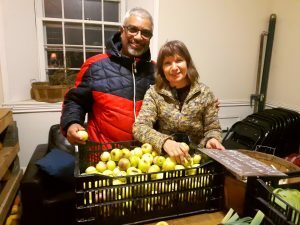 If there is ever a week when we do not meet this goal (eg: due to weather, pests, or disease), extra produce will be given during peak harvest season to ensure you get your annual membership value. **The premium in the ‘Supporter Price’ helps to make our sliding scale model possible. You can pay in full or in four equal installments. Your full amount or first installment is due at registration to secure your membership. Installments are calculated based on your selection of weekly or bi-weekly, and your sliding scale price. Payment can be made online or by sending cash/cheque to the farm. *In our commitment to accessibility, if you require an alternate payment plan, such as weekly pay-as-you-go, please contact us at produce@blackcreekfarm.ca. However, we would still expect a seasonal commitment, given the reasons behind our CSA model. On-farm pick ups take place on Thursdays from 3pm – 7pm. Deliveries take place on Thursdays before 3pm. Depending on the location the bags will be available for different amounts of time. See the registration form for more details. If you are an employee/student at one of our existing delivery locations, you can select your location on the registration form. For members receiving delivery, there is an additional $1 per pickup delivery fee. This is added to your membership total during registration. For deliveries we cannot be as flexible with holding your bag for Friday or Saturday pickup like we can accomodate for on-farm pickups, so if you expect that you may not be always available on Thursdays and would appreciate some flexibility then on-farm pickups may be better. Since we have to pack and deliver the bags, you won’t have the opportunity to use the “trade bin” at the farm, where, to a limited extent, you can swap out some items for more of other items, depending on your preferences. If you would like to discuss the possibility of a delivery at your workplace, and your workplace is within 5km of the farm, please contact us at produce@blackcreekfarm.ca.